A selection of cultural, historical and scenic sightseeing tours in and around Johannesburg. Experience scenic Durban on our collection of half day and full day tours. 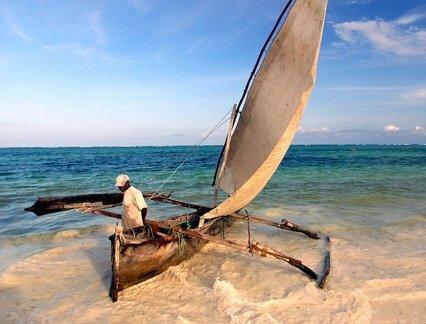 Relax on the beautiful beaches of Zanzibar and explore the ancient city of Stone Town. Mauritius is the perfect honeymoon beach paradise or complement to a Southern African safari. Experience Victoria Falls: river cruises, luxury accommodation, nature drives and more. Experience stunning Victoria Falls: river cruises, luxury accommodation & nature drives. The Seychelles is the ultimate honeymoon beach paradise or complement to a Southern African safari. Extend your Tanzanian safari with a visit to Selous Game Reserve, Africa's largest game reserve. Explore South Africa on this signature affordable luxury safari. Follow historical and cultural attractions along Mandela's journey and discover Cape Town's beautiful scenery. Explore the beautiful scenery, culture and animals of South Africa on this affordable luxury guided vacation. Discover South Africa and Victoria Falls on this classic, affordable luxury safari. Explore South Africa in style on this Cape Town and safari vacation package. Discover the superb natural wonders and wildlife of Victoria Falls and Botswana. A South African safari with a stylish twist. Chic Cape Town and exceptional game viewing. Experience an incredible luxury safari in Matobo, Hwange and Victoria Falls. Discover the miracle of Tanzania's nature and wildlife and view the Great Migration over the hills of the Serengeti National Park. A luxury safari with game viewing on land and water in the Okavango Delta and Chobe National Park. Explore Botswana’s magnificent game parks on safari and visit the incomparable Victoria Falls. Witness the amazing spectacle of the great migration and experience Tanzania's wildlife. A vacation package for the whole family, packed with fun and educational activities. See the spectacular Victoria Falls then explore remote and unspoiled game reserves in Zambia. Five-star luxury, exceptional experiences and unmatched wildlife safaris await you. Discover the beauty and wildlife of Zimbabwe’s Hwange National Park and the wonder of Victoria Falls. Explore Tanzania's vast wilderness on this luxury safari that takes you through Tarangire, Ngorongoro and the Serengeti. Take your dream honeymoon in Africa on this unforgettable trip to Cape Town, a private game reserve, and Mozambique. Experience Tanzania's incredible wildlife on this luxury safari in Lake Manyara, Ngorongoro Crater and the Serengeti. Discover the culture of Uganda and enjoy a moving experience as you encounter a Mountain Gorilla family in the forests of Bwindi. Luxury and comfort, combine the Mother City with safari activities in the wild Okavango Delta in Botswana. Explore the mysteries of the Namibian desert and witness its awesome wildlife on an Etosha Game Reserve safari. Discover Namibia, home to spectacular deserts and awesome wildlife, on this five-star safari vacation. Experience a Botswana safari that offers the ultimate in luxury accommodations and unprecedented wildlife encounters. Indulge in the ultimate luxury Tanzania safari and see Africa's majestic wildlife up close.